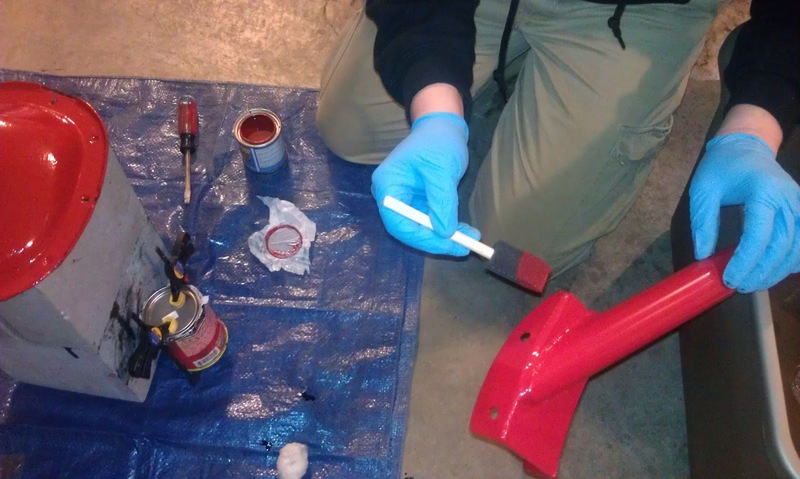 This afternoon I applied another coat of paint to the differential cover with a foam brush I picked up today. 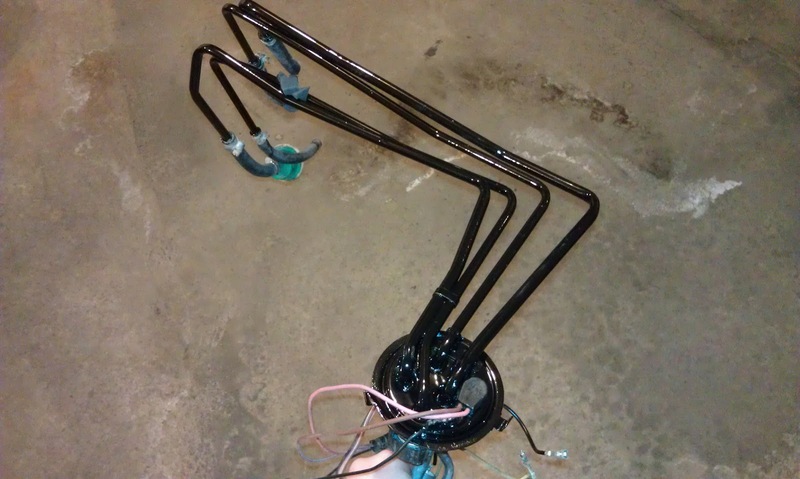 I also applied the first coat of black POR-15 to the external parts of the fuel sending unit. 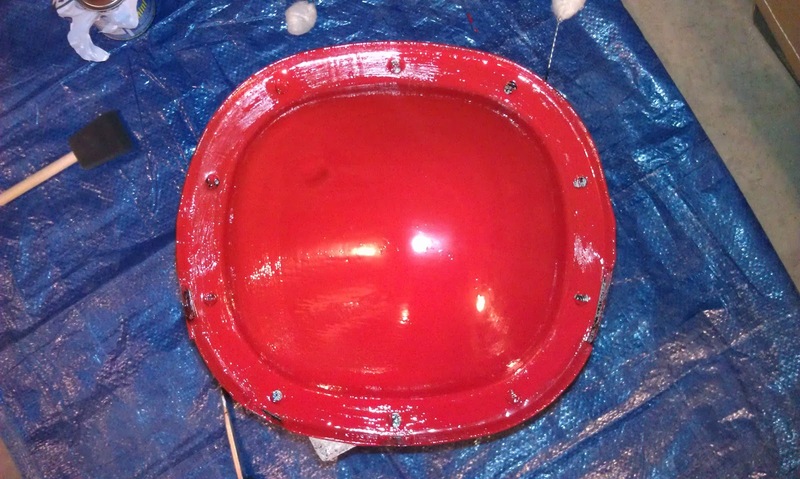 Later this evening I applied one last coat of paint to the differential cover. I have been kind of obsessive/compulsive about this, so I decided this is the last coat of paint, no matter how it looks. 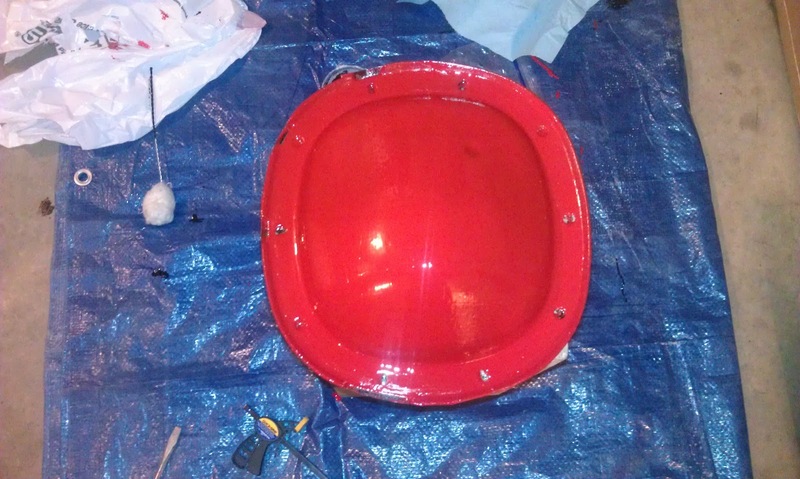 Here is the differential cover with more than two coats of red paint. 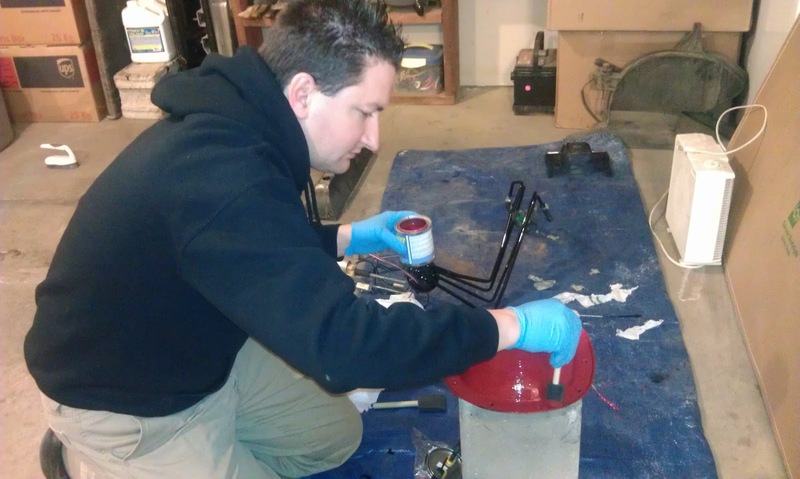 Sara held the fuel sending unit while I painted a second coat of black POR-15 on it. This beats holding it with your mouth while you apply paint. 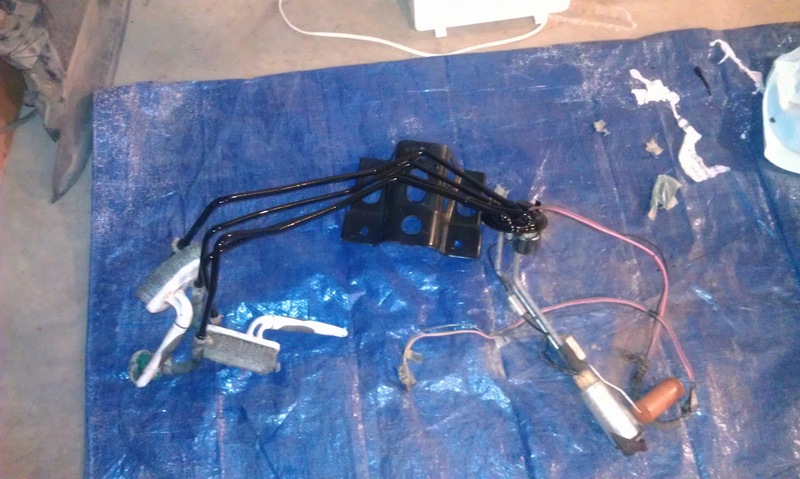 Two weekends ago when we were installing the firewall pad I had forgotten I had stuck the passenger side subframe connector in place. The fit is tight enough that it held it on its own; that is until I started moving around inside the car. The car flexed enough that the subframe connector dropped to the concrete floor and chipped the corner. I attempted to touch it up tonight with some of the red paint.